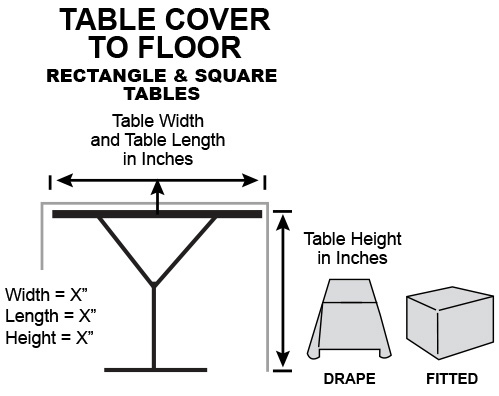 We custom cut and sew covers to fit any table size. 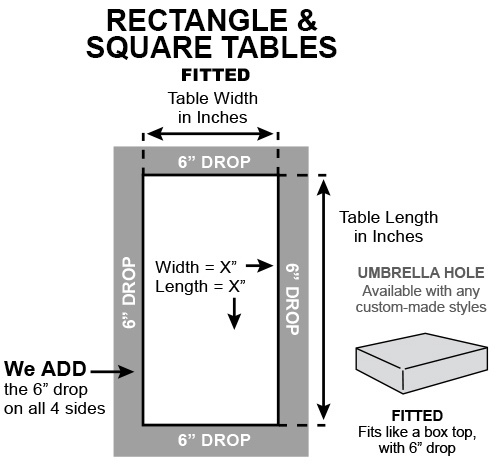 Cloths wider than 54" will be seamed. 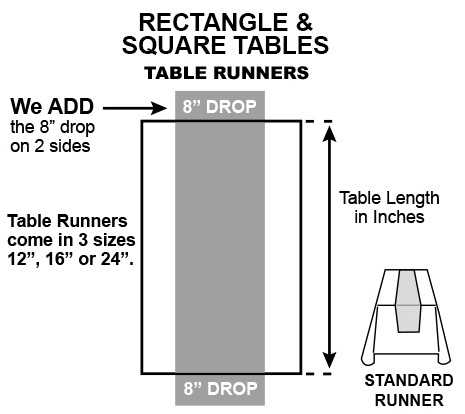 Give us your table size & we will do the math. 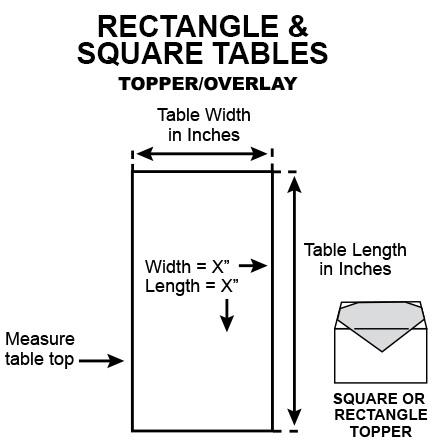 We require table size instead of cloth size for quoting. 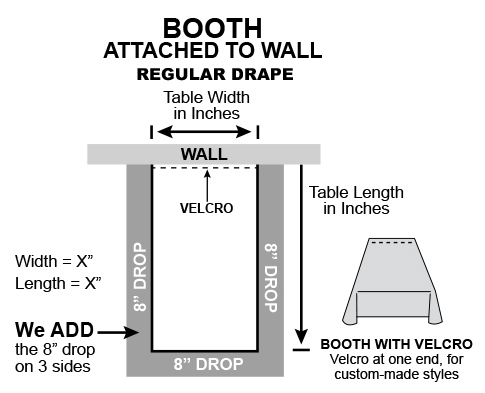 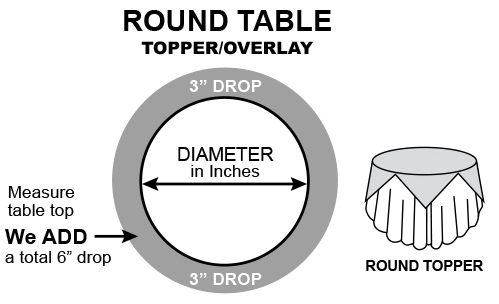 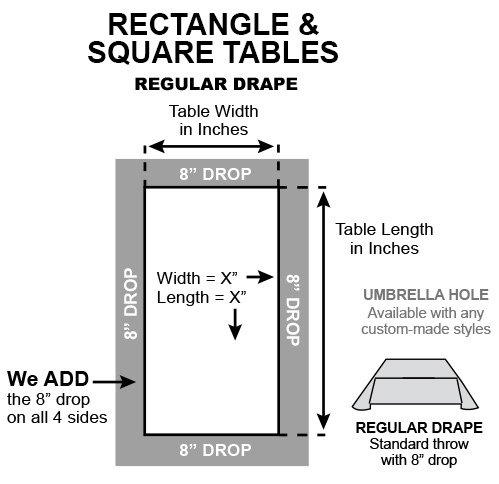 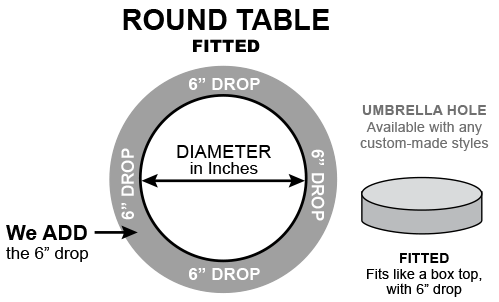 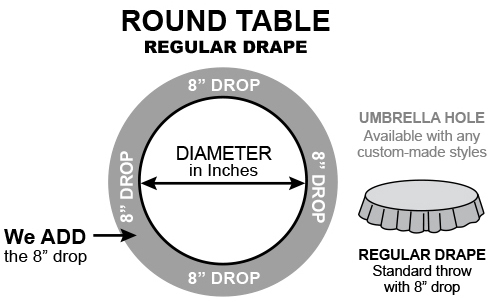 We add a standard drop of 8" to all Regular Drape table covers, and add a standard drop of 6" to all Fitted (Hat Box) table covers. 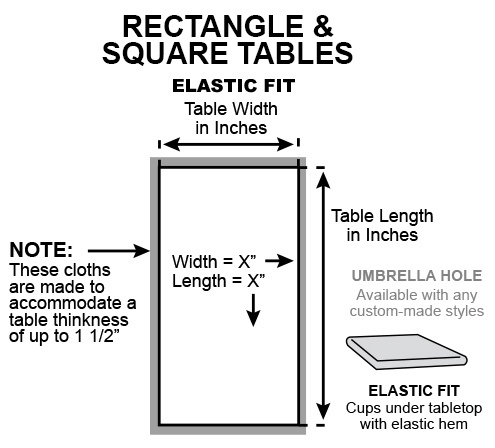 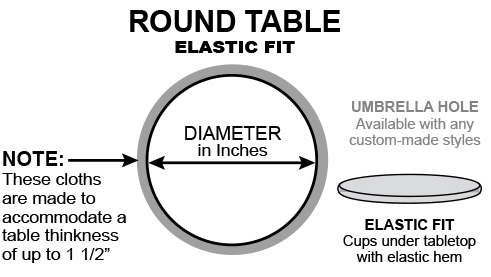 Elastic Contour table covers accomodate tables up to one and half inches (1.5") thick. 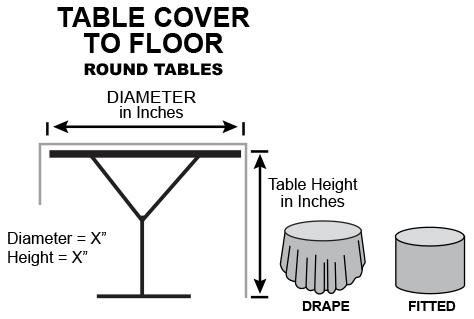 "To the Floor" table covers will made the same height as the table height.